Kevin Matthews is originally from New York and has been living in South Florida for 14 years. He attended Western Connecticut State University where he also played four years of college basketball. As a captain of the team and a full time student, he developed the critical skills of leadership, commitment and a strong work ethic. These skills make him an essential part of our team. 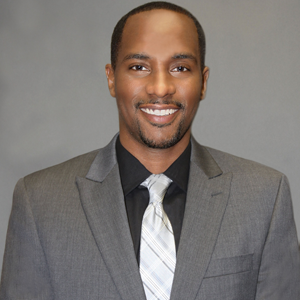 After graduating, Kevin moved down to South Florida where he recently received his MBA from Nova Southeastern University. Kevin has a wide range of responsibilities at The Law Office of Luis Cartaya, PA and showcases an ability to effectively manage multiple activities while working under pressure. Kevin provides administrative support to our attorneys and enhances office effectiveness. He has a great familiarity with Florida law/legal procedures and knows how to navigate the court systems. Kevin also demonstrates a superior knowledge of day-to-day operations within the legal office which makes him an indispensable member of our team.